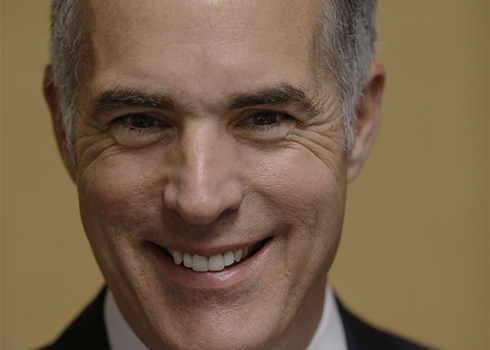 Sen. Bob Casey (D., Pa.) was instrumental in securing millions of dollars in stimulus funds for the Philadelphia Housing Authority (PHA) that was used for shoddy and unsafe work at low-income housing units, federal auditors later found. Casey was a vocal proponent of the American Recovery and Reinvestment Act (ARRA), also known as the stimulus bill, and he and the rest of the Pennsylvania congressional delegation worked aggressively to steer stimulus funds to their districts. Of particular interest to Casey was securing funds for the PHA. "Now more than ever, Pennsylvanians need equal access to the ARRA capital funds to ensure a ready supply of quality affordable housing and the jobs created by the use of those funds," Casey and other members of the Pennsylvania delegation wrote to the Housing and Urban Development Secretary. "We can assure you that the public housing agencies in Pennsylvania stand ready to spend ARRA funds quickly and effectively to meet those goals." The PHA is the fourth-largest public housing authority in the U.S., with more than 80,000 low-income tenants. It was awarded more than $90 million in stimulus funds in September 2009. "I’m proud to say that PHA is leading the country in this arena, quickly and effectively administering more than $91 million in federal stimulus funds to build quality housing, create jobs, and expand economic opportunities here in Philadelphia," Casey said in a PHA press release. "With great partners like Senator Bob Casey and HUD, PHA is changing the face of public housing in Philadelphia," then-PHA executive director Carl Greene added. However, in 2011, federal auditors found the PHA used $27.4 million of those funds in a questionable manner. The PHA did not take basic steps of obtaining permits, overspent for repairs, and subjected tenants to shoddy workmanship and safety hazards, the auditors’ report concluded. The audit, covering a period when ousted Executive Director Carl R. Greene ran PHA, found that the agency typically did not take even the basic steps of obtaining required permits for electrical, mechanical, or plumbing work. While Greene won plaudits during his 13-year tenure for razing dilapidated and crime-ridden public housing projects and replacing them with new housing, this audit examined the agency's management of its 7,300 scattered properties, only 4,000 of which are occupied. It found that not only did PHA overspend for repairs, but that the workmanship was sometimes shoddy. Problems included ungrounded electrical outlets and heaters that did not properly vent fumes, the audit said. ‘The authority's tenants were subjected to health and safety-related hazards, and the authority failed to use its … funds properly,’ the audit charged. Greene, whose annual salary topped $300,000, was fired in 2010 after it was revealed he secretly settled three sexual harassment lawsuits brought against him by women to the tune of $648,000. The IRS also slapped him with a $52,000 tax lien. His condo was foreclosed on after he missed three mortgage payments. The PHA under Greene also spent thousands of dollars on karaoke, yodeling, salsa dancing, and belly dancers for its training sessions. Sen. Casey’s office did not return requests for comment. PHA could not be reached for comment. This entry was posted in Politics and tagged Bob Casey, Pennsylvania, Stimulus. Bookmark the permalink.